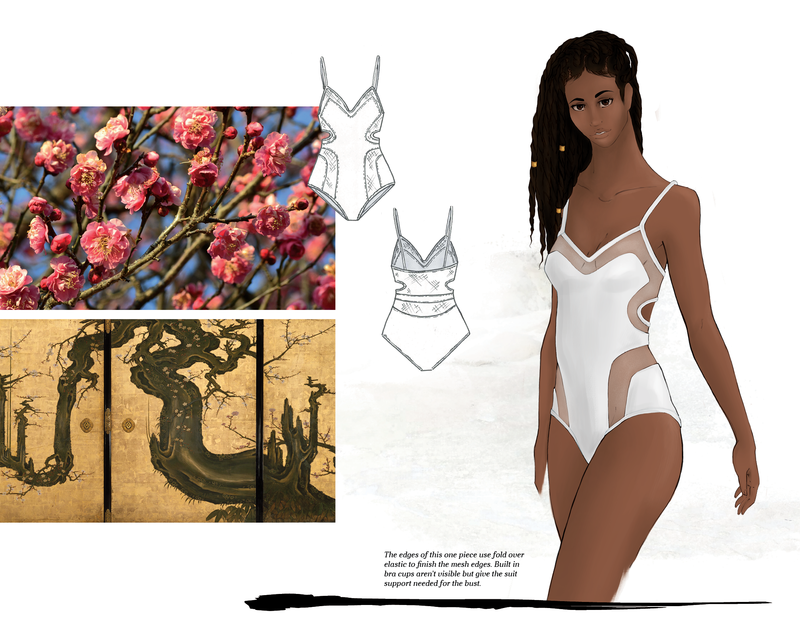 Cranes and plum blossoms is a swim collection inspired by Geisha costumes and kimono motifs, specifically cranes as a symbol of longevity and plum blossoms as a symbol of renewal. I designed the collection as part of Weekend and Denim, a casual wear class in which I developed a portfolio of weekend wear and swimwear designs, which were critiqued by a professional in the fashion industry. 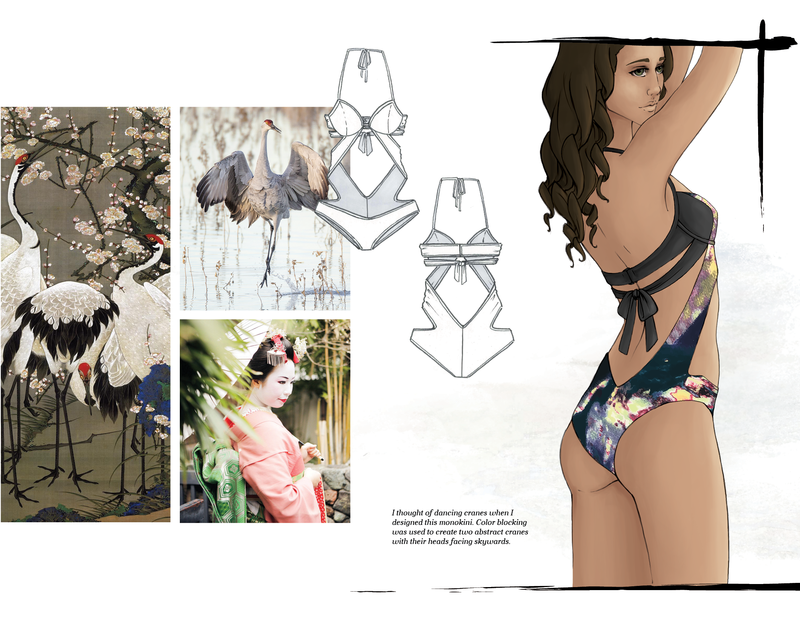 The chosen swimsuit, the dancing cranes monokini, was my first experience working with swim. 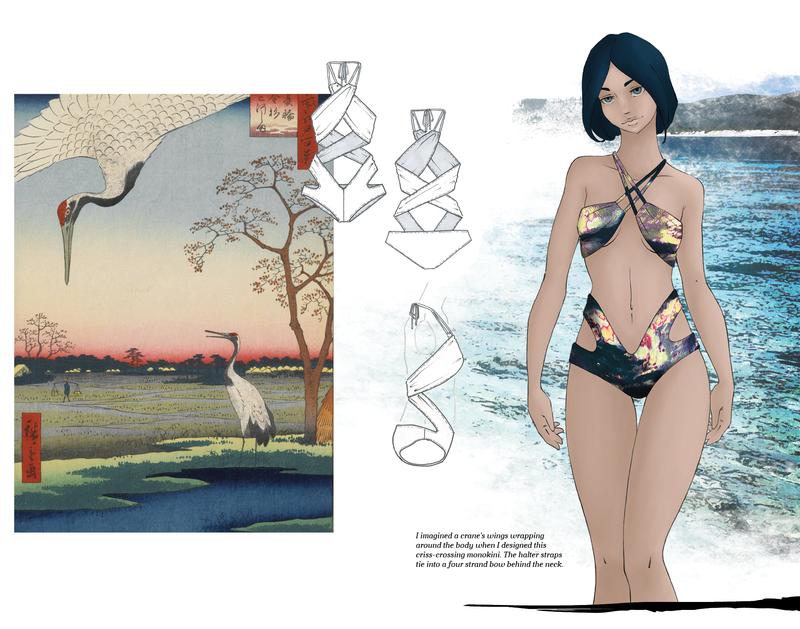 While designing I imagined how a dancing crane might look as a swimsuit. The result was a warp-around monokini with contrast piecing that is reminiscent of a crane’s wings and facial markings. I drafted production patterns within two weeks and constructed the final garment within a couple of days. I also completed a tech pack with costing and spec sheets. The finished swimsuit received an award for best in jury in the swim category during The Collections Annual Student Designer Fashion Show at Stephens College.